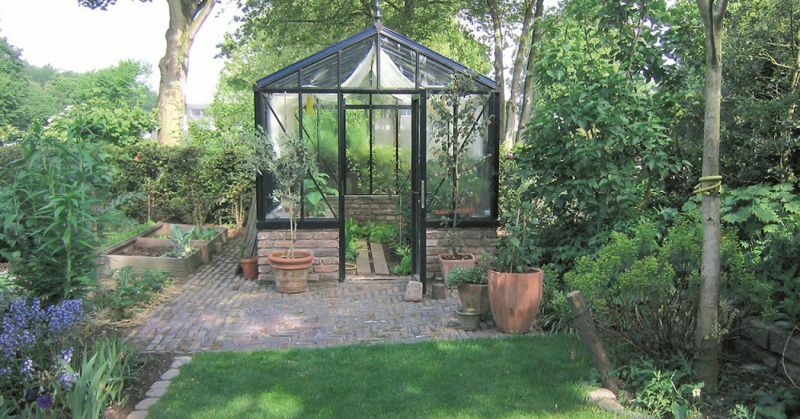 Janssens Greenhouses and Garden Rooms have been designed to a superior standard to satisfy the rigorous demands of the contemporary gardener and traditional gardening enthusiast. 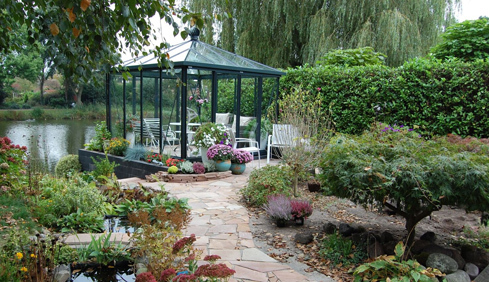 The unique design of the Janssens range offers such choice that it meets the needs of most discerning customers provides them with some of the finest lifestyle Greenhouses and Garden Pavillions available. 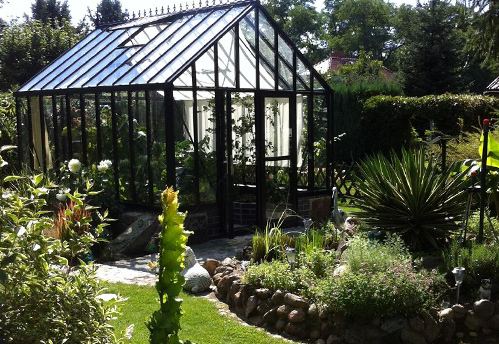 A diverse range of Greenhouses made with strong aluminum profiles that will meet the needs of gardening enthusiasts looking for something above the norm in quality and strength. An idyllic look and bespoke shapes. These pavilions consist of grand glass parts and the high-quality HELIOS-profiles with a customised plan is produced for each client. 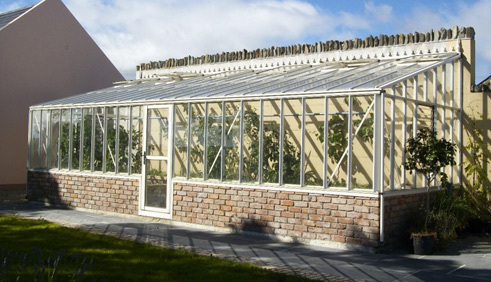 A lean-to Greenhouse on a south facing wall benefits from the wall absorbing the sun’s warmth creating a thermal store. Many design possibilities to meet the needs of every customer. Elegant Garden Pavillions in a range of eye-catching designs that will create a wonderful space for relaxing with family and friends in the comfort of your own garden. 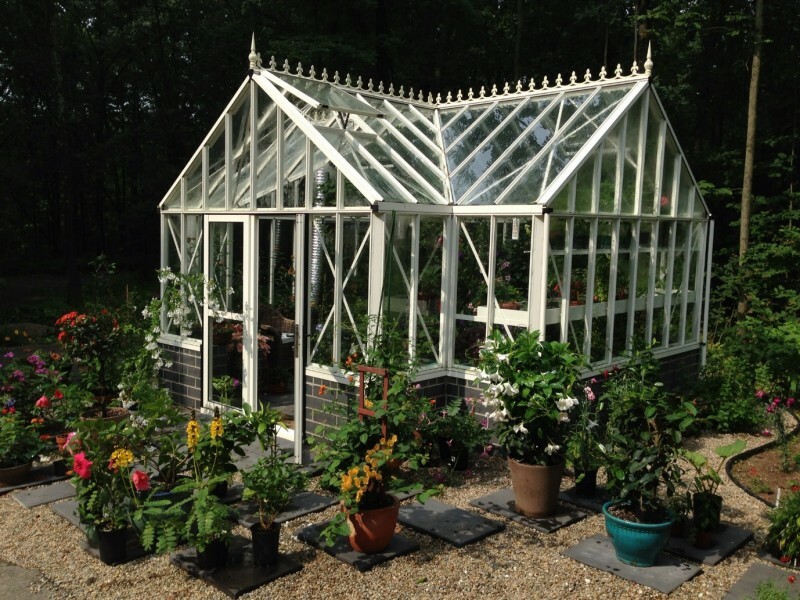 Janssens Greenhouses come in lean-to and free standing models in a wide range of attractive shapes and sizes and with a host of choices to personalise your Greenhouse or Garden Room to suit your individual tastes. We can modify some models in width, length and height if required. We are ready and willing to assist you to choose a model to suit your requirements if you need any help. A defining feature of Janssens is their robust construction using large box section aluminium profiles, giving these Greenhouses a really solid look and feel. The box profiles provide great strength and for windy areas further reinforcement can be provided. 4mm Toughened Glass or 10mm twin wall Polycarbonate glazing is used and is secured using rubber glazing strip with a long service life. 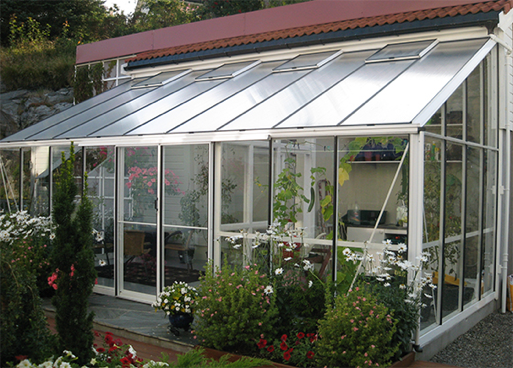 High quality Polyester Powder coating will finish off your Greenhouse in your desired colour. Many customers who are not familiar with Janssens might ask is there lots of head room? When you see them you know this isn’t an issue, most models have an eaves height (height at the sides) of 2m. People leading busy lives and taking summer holidays away from home means that controlling the ventilation in the Greenhouse in warm weather poses a challenge – so we have the solution with automatic roof vent openers. Even if you are in an exposed location we have a special vent openers to suit. With the topical question of harvesting rainwater, all Janssens Greenhouses have gutters built in and come with downpipes. We can provide a watering system with an automatic timer also to ensure your plants are regularly watered – leaving you with more time to simply relax and enjoy.